Edwardian tunic blouse vest top. Sleeveless, black weighted silk with lace insets and covered buttons. Please note that although this has a place for a button and button hole, there is no button present. Sleeves were badly damaged and removed. 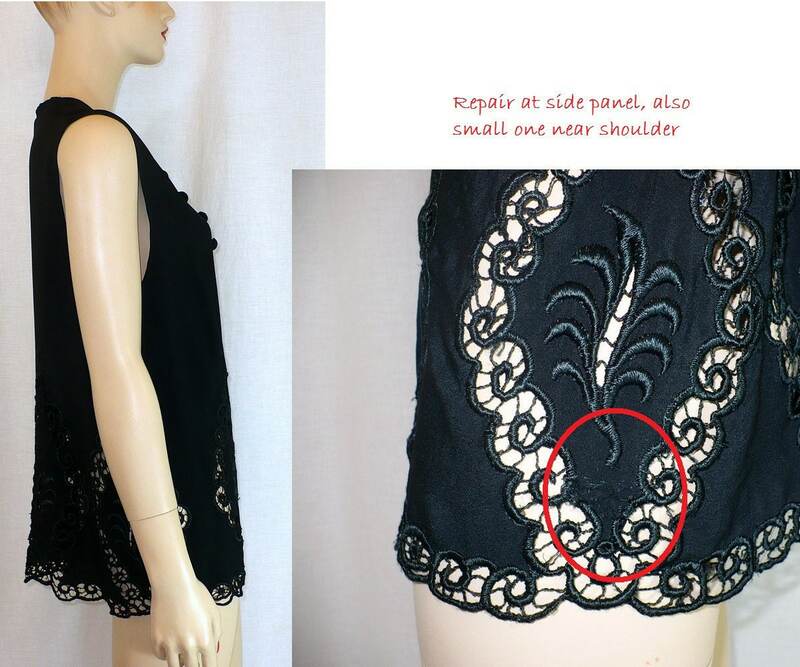 Repair on side as noted in images; repair at shoulder as noted as well. Wearable with care, as silk is weighted.